Carved in stone, written in law. to address our most important document. Yes, the classroom rules of the United States of America. In need of lesson idears? 1. 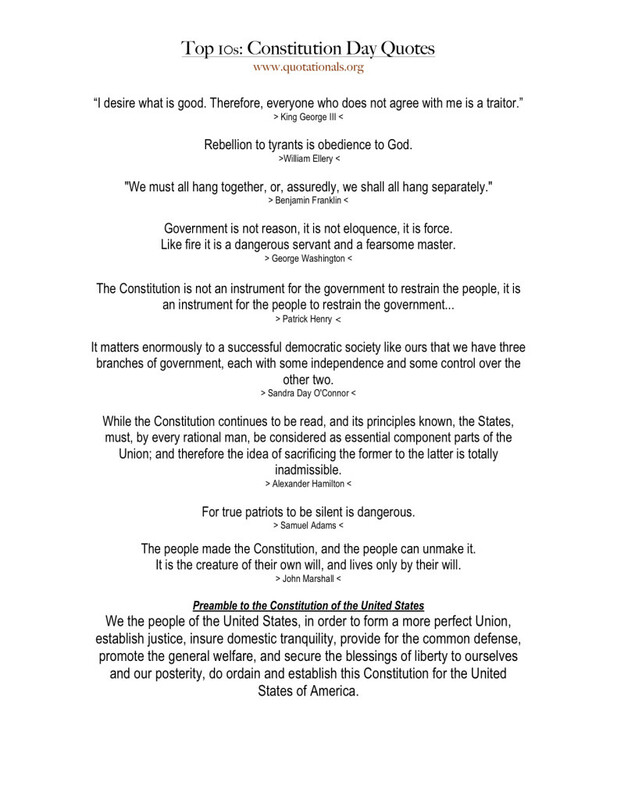 Download the pdf of the quotes here and the aligned Common Core Standards here. 2. Make copies and save the day for all the unprepared teachers. 3. Put that poster maker to work and make a bulletin board. 4. Research the links below and use the quotes to conduct a Socratic Seminar. The quotes should lead your class discussion from colonial rebellion to independence to fear of new tyrannical rule to defining democracy. 5. Encourage EVERYONE to read the Constitution. not want”- Dr. Michael Mercer & Dr. Mary Troiani in Spontaneous Optimism bookSecond, don’t play victim.